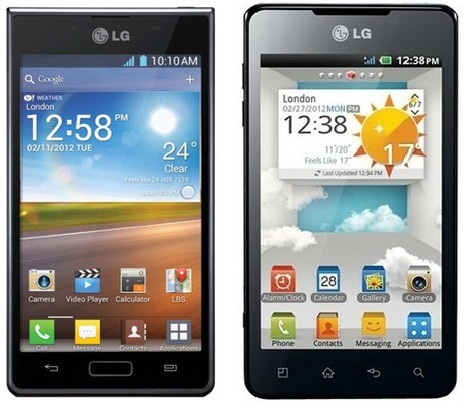 LG’s Optimus 3D Max and the Optimus L7 are now available in India on various online portals. The smartphones were announced at the Mobile World Congress 2012 in Barcelona, and it seems that the smartphones have reached the online market before an official announcement by the company. The Optimus L7 is available at Rs. 18,990 (approx.) and the Optimus 3D Max for Rs. 28,990 (approx.). The Optimus L7 has a 4.3-inch display, runs on the latest Android Ice Cream Sandwich OS and is pretty slim at 8.7mm. Other features include a 1GHz processor with 512MB RAM, a 5MP camera, 4GB internal memory expandable via microSD, and a 1,700mAh battery. The Optimus 3D Max measures at 9.6 mm in thickness and has a 4.3 inch display with a dual-lens 5MP camera on the rear to capture both photos and video in 3D. It has a 1.2GHz dual-core processor and runs on Android 2.3.